Hundreds of captured fighters from an ISIS branch in Afghanistan will be held to account for any war crimes, says the commander of U.S. Central Command. WASHINGTON — Hundreds of fighters from an ISIS affiliate who surrendered to authorities in northern Afghanistan last week are being treated as war prisoners by their Afghan captors, not "honored guests," said the U.S. general in charge of American forces in the region. "The government of Afghanistan has assured us that these ISIS-K fighters will be treated as war prisoners," said Gen. Joseph Votel, the commanding general of U.S. Central Command. 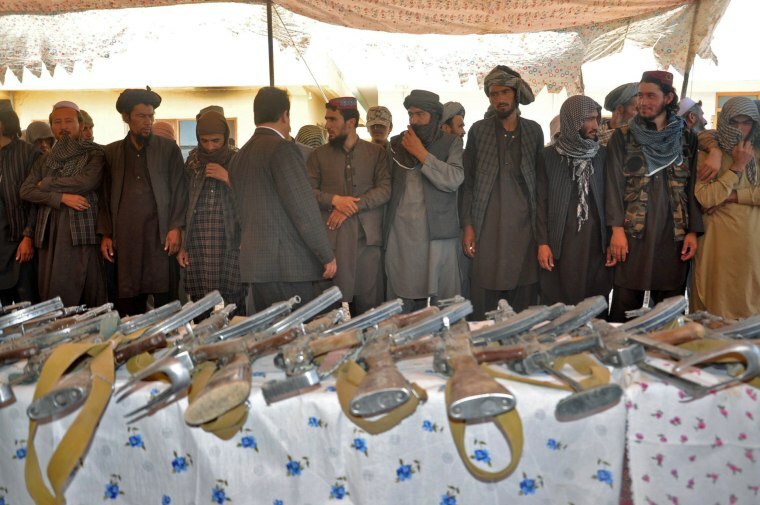 Votel said "several hundred" ISIS-K fighters surrendered to the Afghan National Defense Security Forces over the weekend in Jowzjan Province. ISIS-K, or ISIS-Khorasan Province, is an ISIS branch based in Afghanistan and Pakistan. An Aug. 4 article in The New York Times questioned whether the surrendered fighters were prisoners or honored guests. The article said the fighters were being held in guesthouses, and were allowed to keep their cellphones and give interviews. Votel said that was a "moment in time" after the initial surrender as the Afghans "were working their way through it." Votel said the prisoners have been transported from Jowzjan to "government detention facilities where they will be investigated and held to account for any war crimes that they are found to have committed." Asked whether the U.S. will take part in questioning some of the fighters, Votel said, "The Afghans have indicated to us that they will give us access and we can assist in exploitation." In April 2017, the U.S. military dropped the "Mother of All Bombs," a GBU-43/MOAB, on an ISIS-K cave complex in Afghanistan, killing dozens of fighters and collapsing the extensive network of caves. It was the first time the U.S. deployed the 20,000-pound bomb on the battlefield. Votel said the U.S. harbors no illusions about reconciling with ISIS-K. "Our mission is to destroy that organization," he said, and described the ISIS-K presence in Jowzjan as "pretty much eliminated." He could not say how many other ISIS fighters are still in the country, calling the estimates "low confidence." He underlined that the U.S. has continued its "pressure campaign" in Afghanistan against the local ISIS affiliate and al Qaeda, saying, "I'm sure it contributed to the surrender last week." ISIS-K also operates in Nangahar and Kunar provinces. Votel said they remain "fairly confined" in those areas. "My assessment is they are not expanding," he said.